What is the statute of limitations for filing a lawsuit against a trucker and trucking company following an accident? 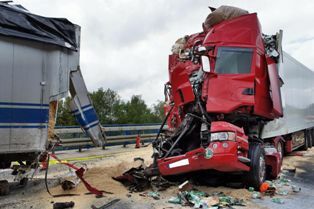 There are a number of important laws that apply to truck wreck cases that you should understand if you must pursue a claim for injuries against the negligent trucker who hit you and the trucking company who employed him. One vital law you must know and follow is the statute of limitations for filing your lawsuit. You also need the assistance of an experienced truck wreck attorney to comply with this law. What Is the Statute of Limitations in Truck Accident Cases? There is a two-year time period to file a lawsuit for personal injuries and property damage caused in a truck wreck. The time period begins to run on the date of the crash. If a family member died as a result of his injuries caused by a truck collision, the time period to sue is two years from the date of his death—not the date of the crash. You do not want to make the mistake of delaying hiring an attorney because you have plenty of time to file a lawsuit. You want to retain your lawyer as soon as possible after the truck accident so that he can investigate your claim, collect and preserve vital evidence, and attempt to negotiate a settlement for you before filing a lawsuit. If you wait until close to two years after the accident to hire an attorney, important evidence necessary for your case could have been lost or destroyed. In addition, you limit the ability of your attorney to help you and open yourself to disputes in your claim about the seriousness of your injuries by waiting. If a negligent trucker caused your injuries, let the experienced legal team at the Hart Law Firm negotiate your settlement. Contact us online or call us directly at 817.380.488 to schedule a free case evaluation.